Raining Cats EP | Cat Kamikazee | OK Listen! Cat Kamikazee is a post rock/progressive rock band formed at the end of 2015. The quartet employs pure instrumentation manifesting in an experimental and ambient soundscape - the effort being to immerse themselves and their listeners into a free and abstract space - without pushing ideologies that can potentially limit the overall experience. 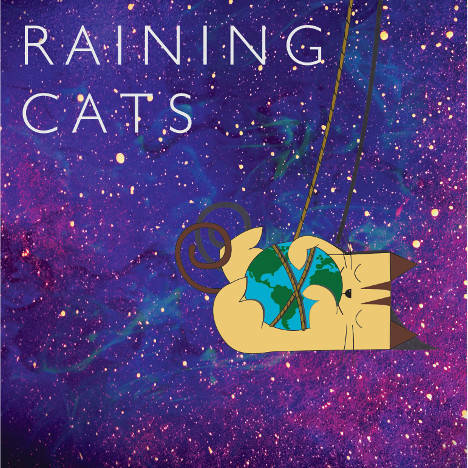 'Raining Cats' is the band's debut EP. All music written and performed by Ameya Deshpande (guitar), Ranjit Khare (guitar), Sameer Deshmukh (bass) and Shounak Joshi (drums). Recorded, mixed and mastered by Harshad Sathe and Ronak Runwal at Gray Spark Audio, Pune. Special Thanks to Sanjeev Pandkar, Omisha Gandhi, Shirin Kekre, Members of Celestial Teapot (Pune), Moses Koul from Kraken (Delhi) and Arunima Joshua (PR). Thank you all who helped us in our journey especially our parents for their unconditional support.